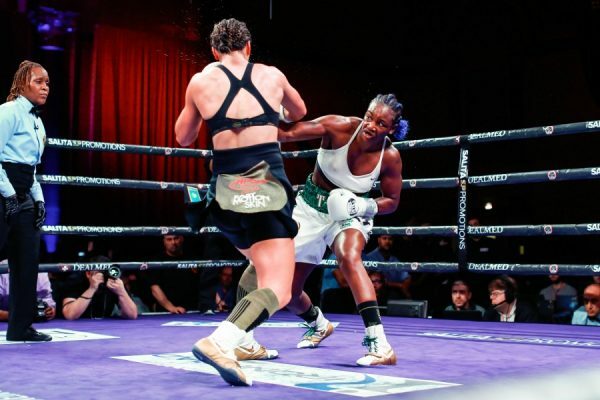 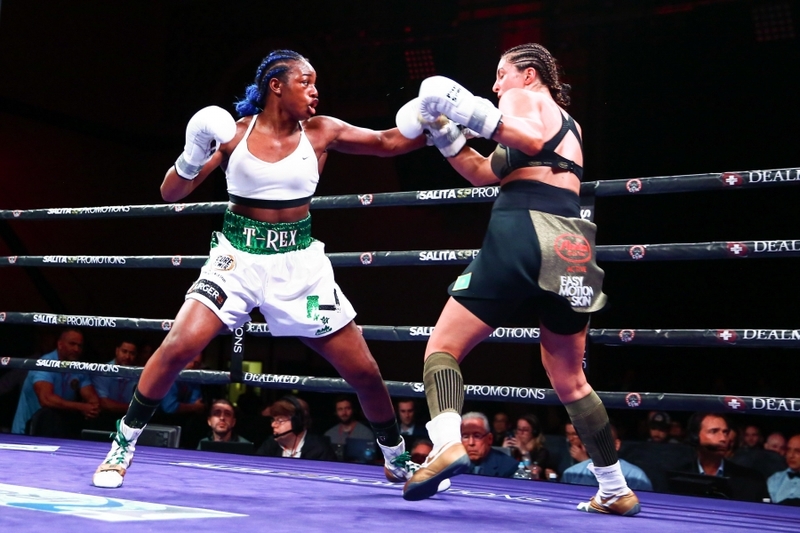 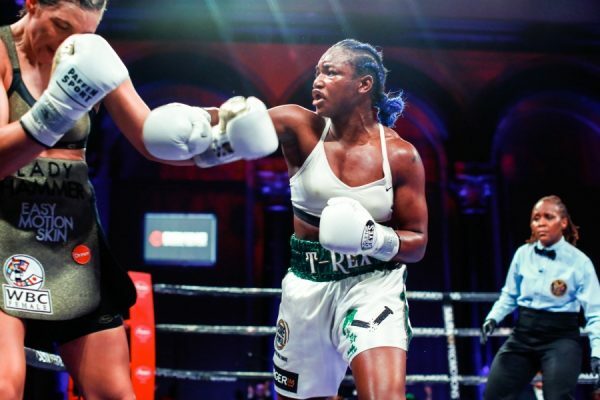 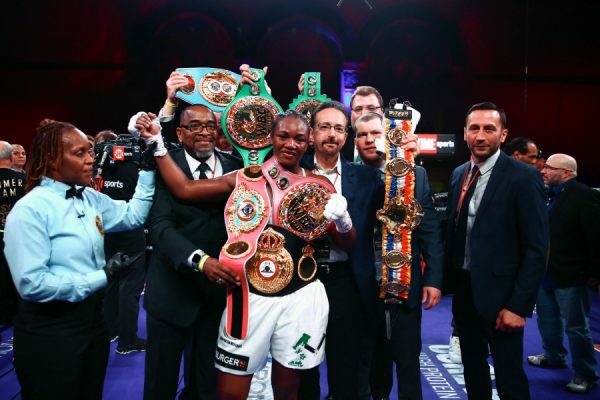 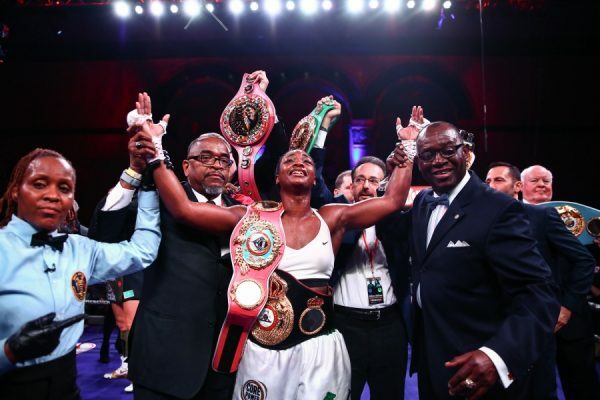 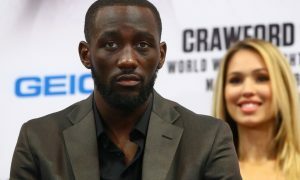 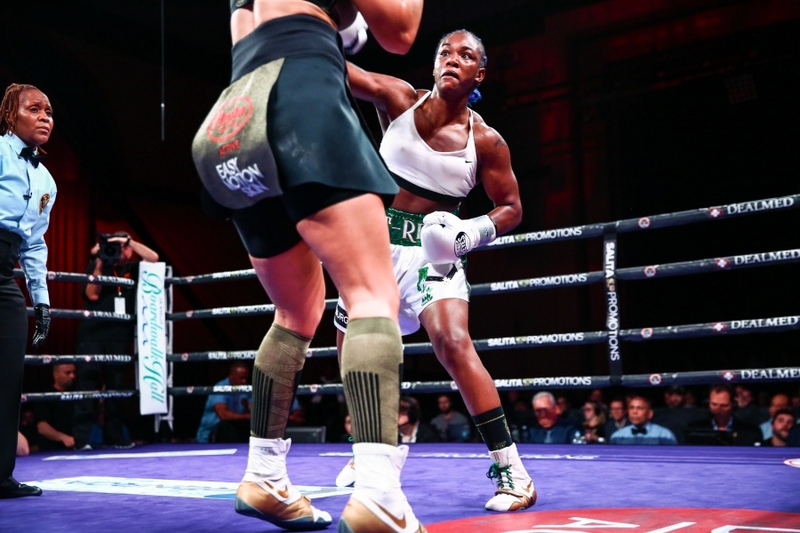 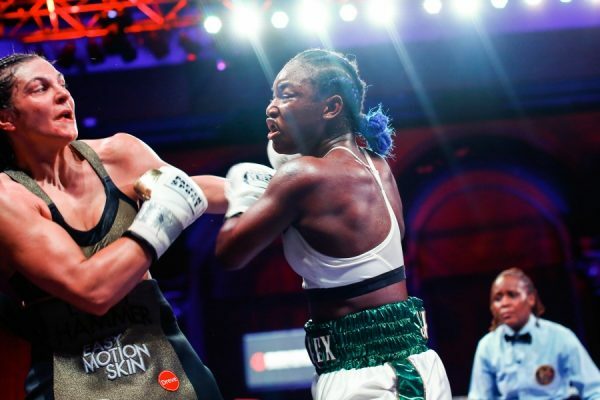 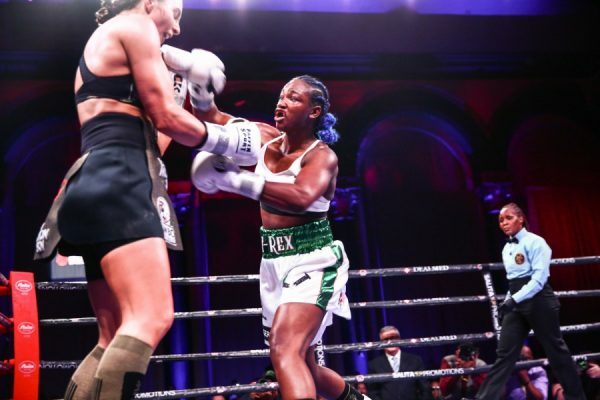  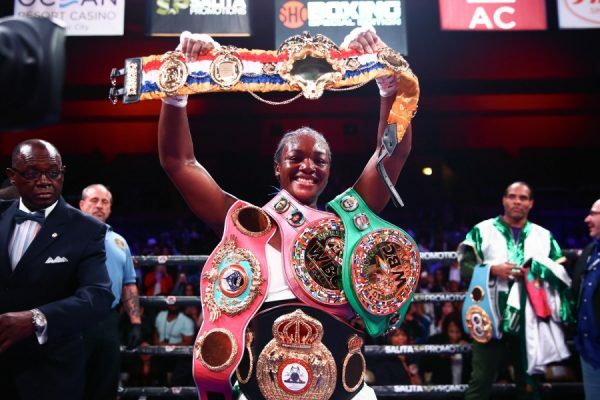 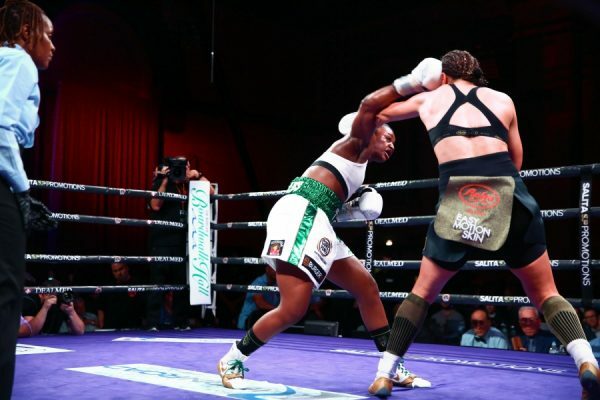 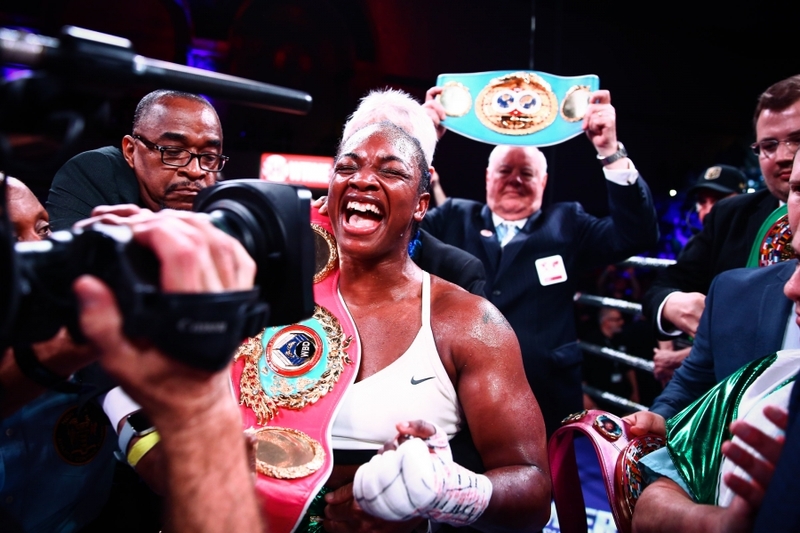 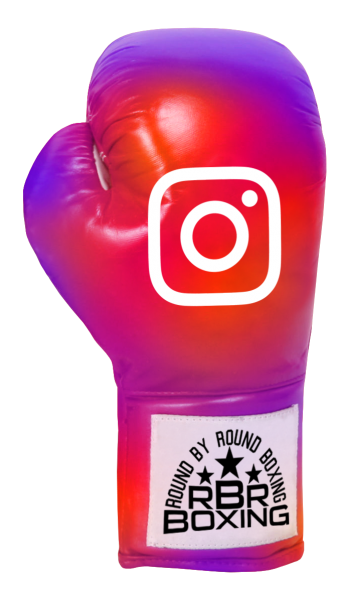 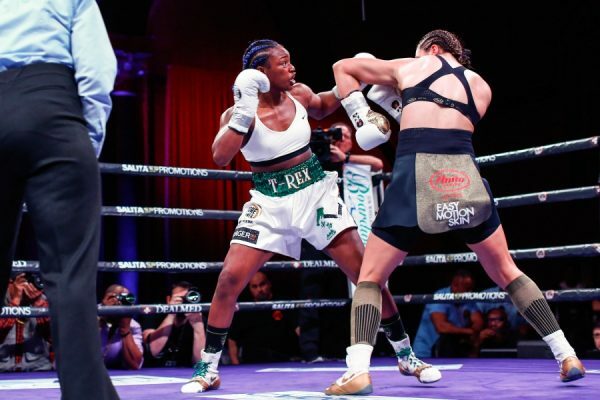 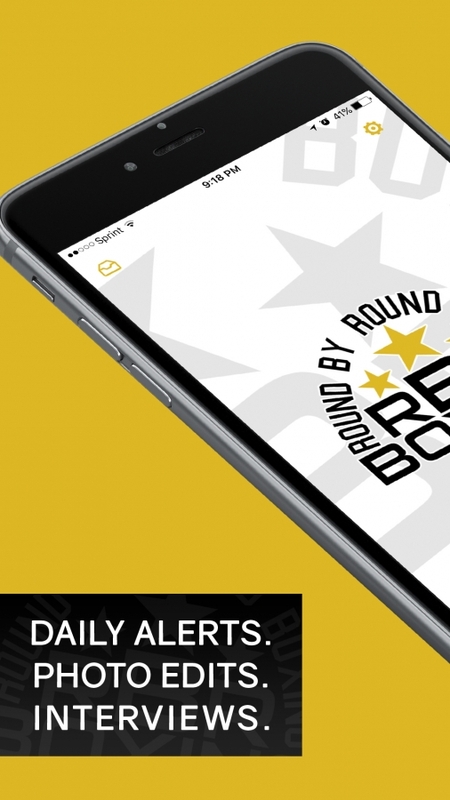 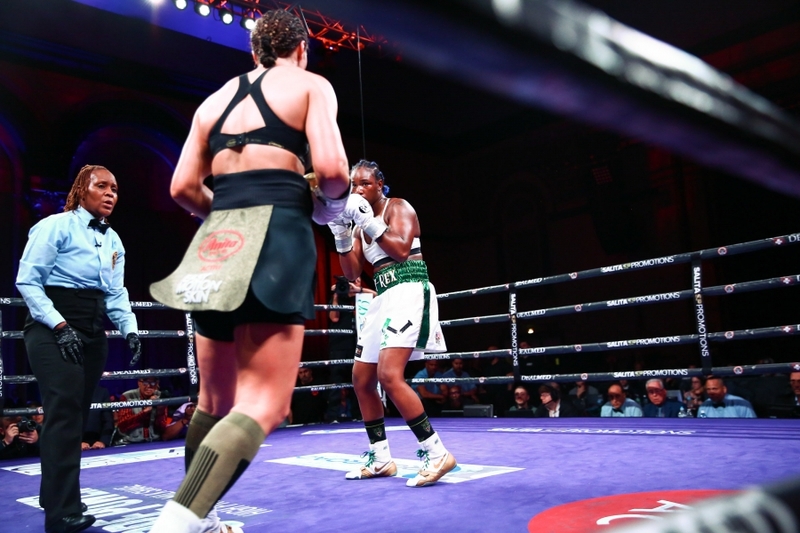 ATLANTIC CITY (April 14, 2019) – Claressa Shields is the undisputed middleweight champion of the world. 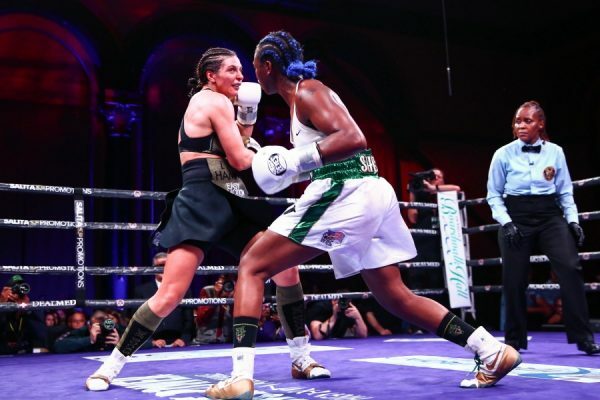 The 24-year-old Flint, Mich. native delivered the best performance of her career and cruised to a unanimous decision over Germany’s Christina Hammer Saturday on SHOWTIME in arguably the most significant women’s boxing match in history. 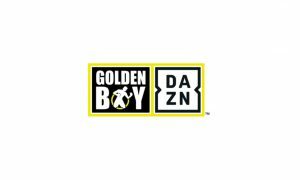 The judges scored the fight from Boardwalk Hall in Atlantic City 98-92 and 98-91 twice. 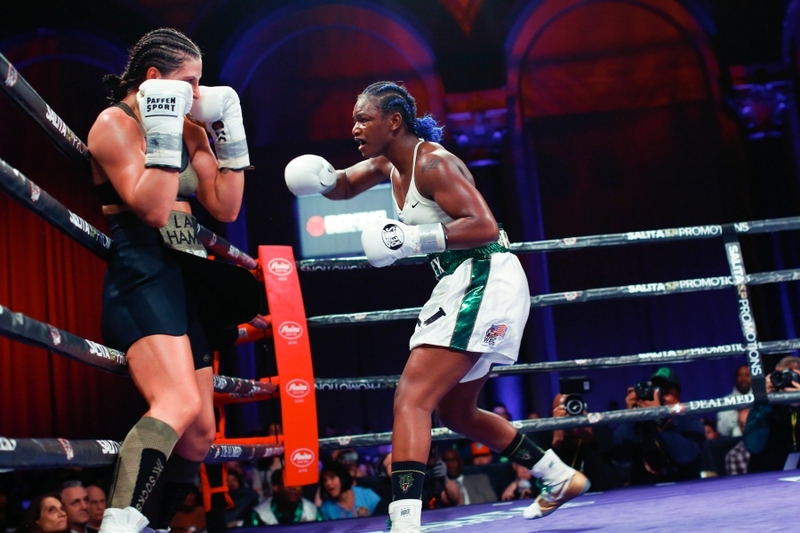 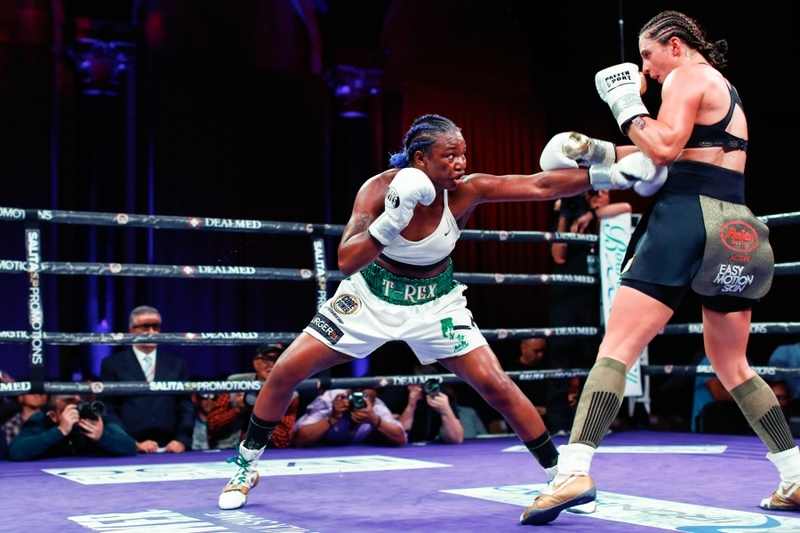 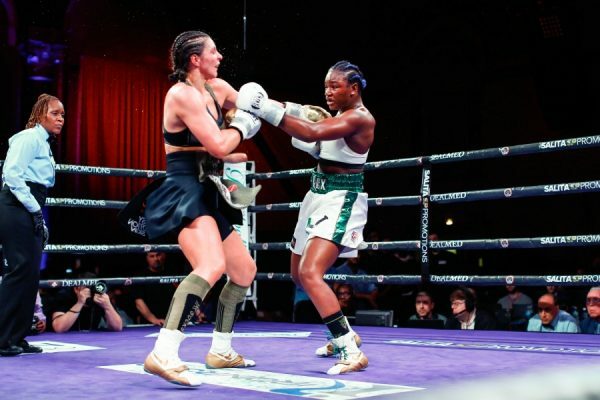 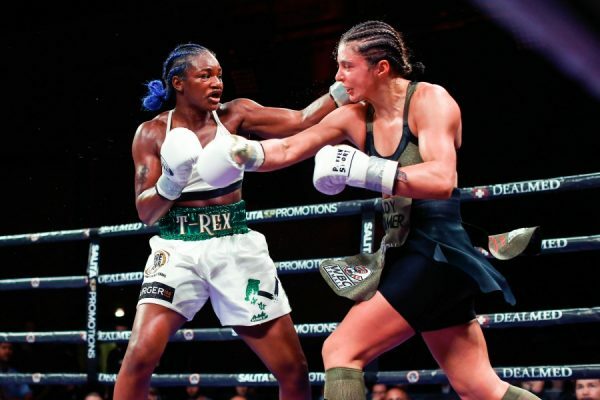 Claressa Shields (9-0, 2 KOs) officially has made her mark in the sport of women’s boxing as she cruised to a unanimous decision victory over Christina Hammer (24-1, 11 KOs). 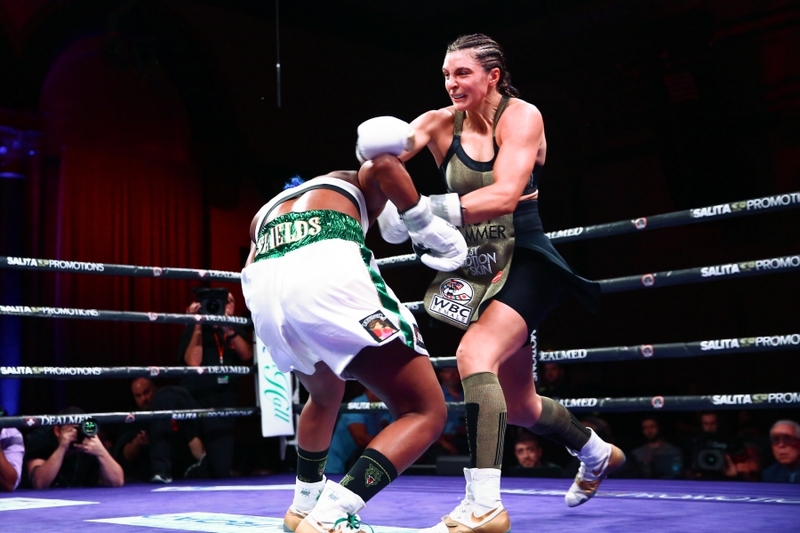 Shields dominated from start to finish as she had Hammer hurt several times. 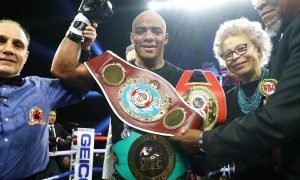 It was a great fight that had the entire crowd at the Boardwalk at Atlantic City excited. 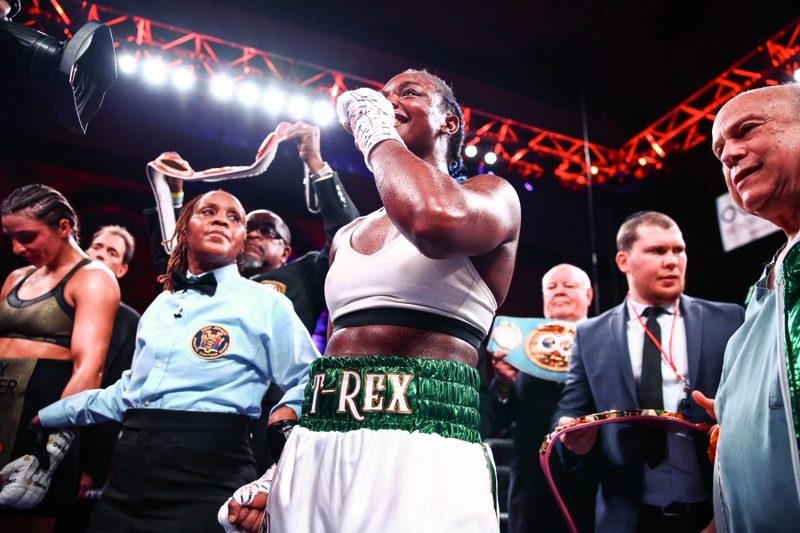 All three judges were in agreement as they scored it 98-92 in favor of the undisputed Middleweight champion Claressa Shields. 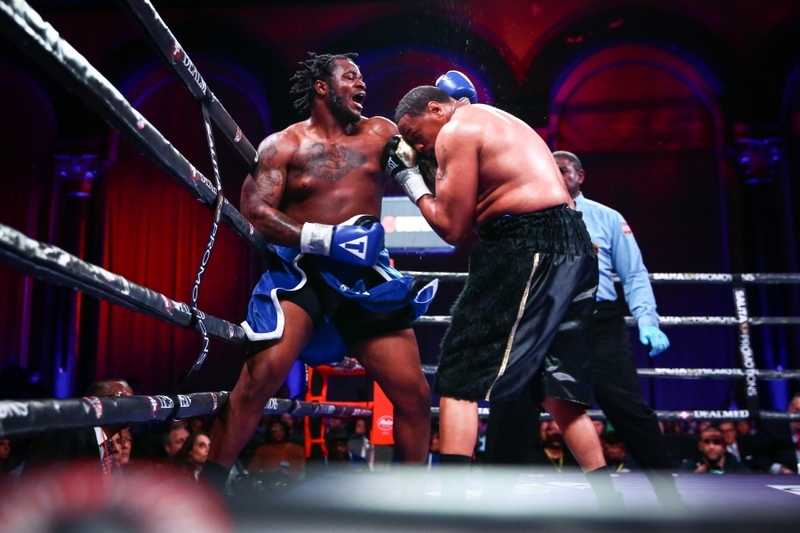 Jermaine Franklin (18-0, 13 KOs) won a wide unanimous decision against Rydell Booker (25-2, 12 KOs) in what many felt was a very close contest. 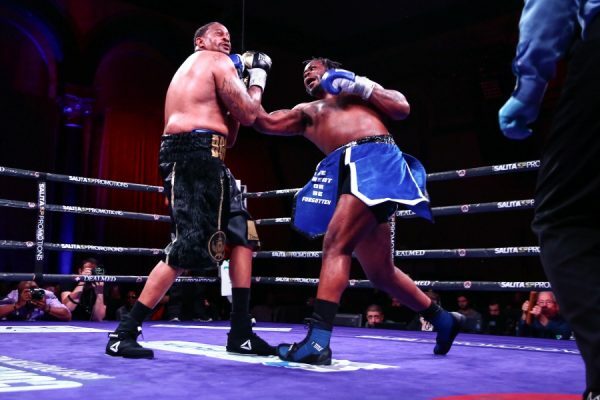 Both of these Heavyweight fighters let their hands go early and often as they both had great success throughout. 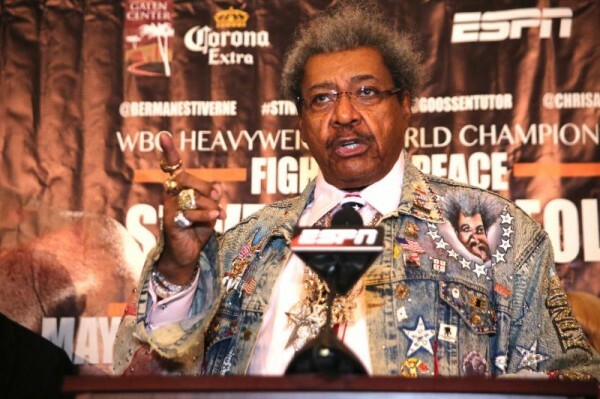 All three judges surprisingly scored the contest wide. 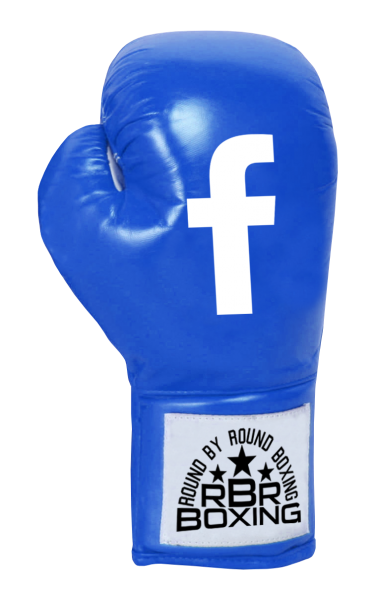 99-91 and two scores of 98-92 in favor of Franklin. 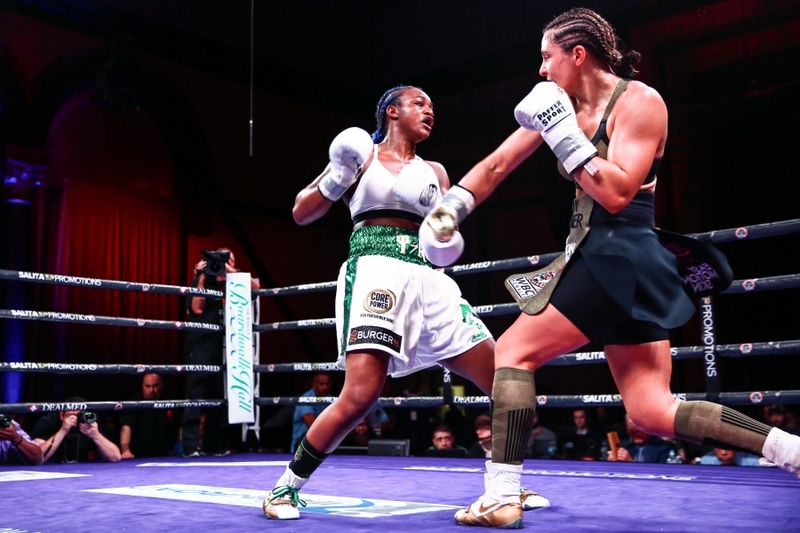 In what could be considered an upset, Brenda Carabajal (16-4-1, 9 KOs) defeated the formerly undefeated Elena Gradinar (9-1, 2 KOs). Carabajal also managed to pick up the vacant IBF Featherweight title as well. The contest took place at the Boardwalk in Atlantic City on April 13th. 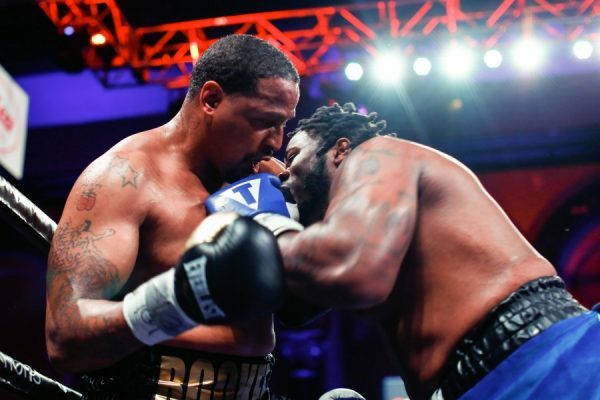 The matchup turned out to have plenty of fireworks. 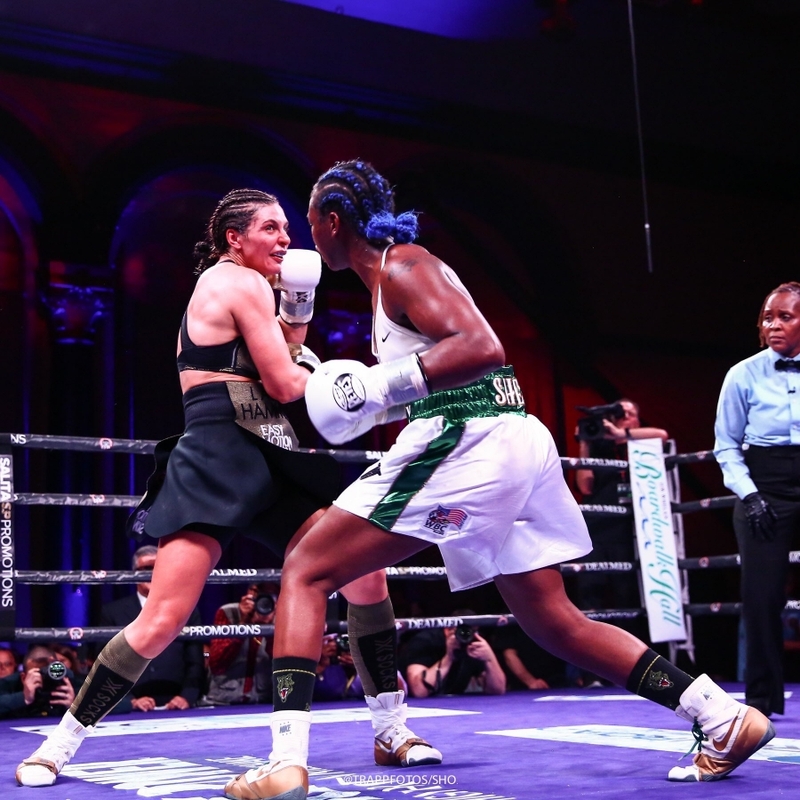 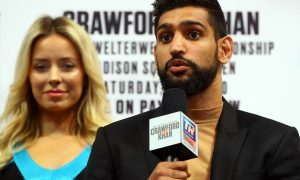 Carabajal had her opponent in some serious trouble several times throughout, including in the fourth and seventh rounds. 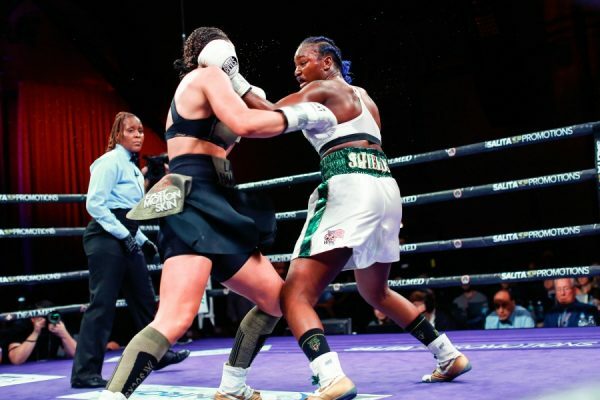 Gradinar did her best to force the action but had very little success going down the stretch. 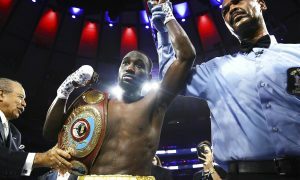 When the final bell rang the judges scored the contest 96-94 and two scores of 97-93 all in favor of Carabajal who is now the IBF Featherweight champion. 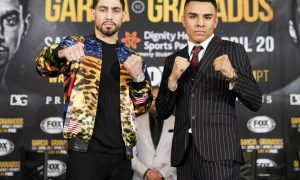 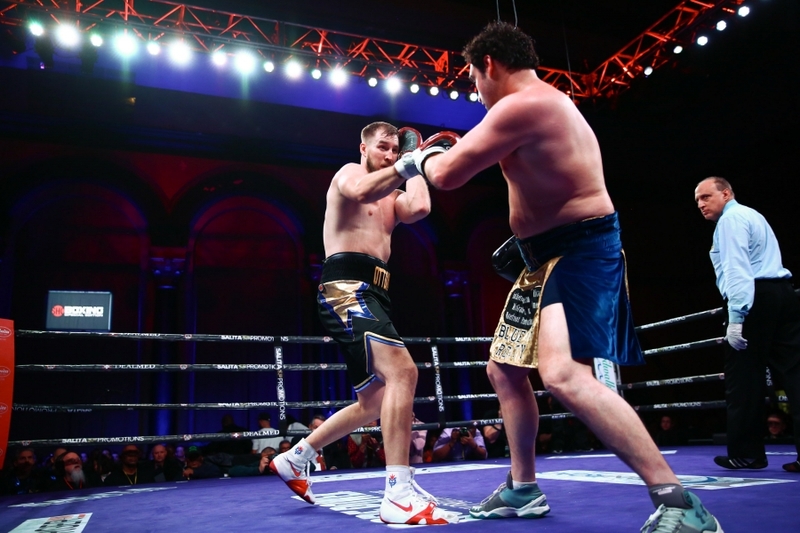 The contest between Otto Wallin (25-0, 13 KOs) and Nick Kisner (21-4-1, 6 KOs) ended in a no contest as a clash of heads put an end to the contest in the very first round. 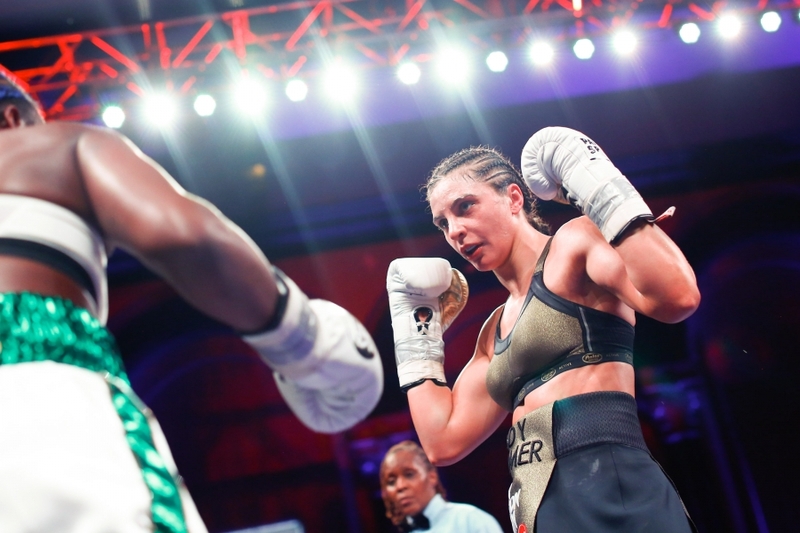 Kisner, was ruled unable to continue and the bout was put to an end. 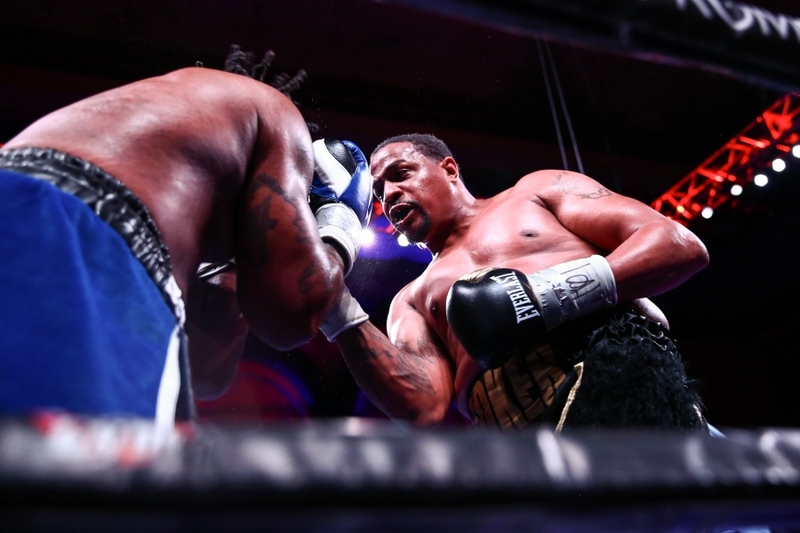 Super Bantamweight prospect, Marcus Bates (9-1-1, 7 KOs) made it look easy as he knocked out Jesse Hernandez (12-3, 7 KOs) at the end of the third round of their contest. 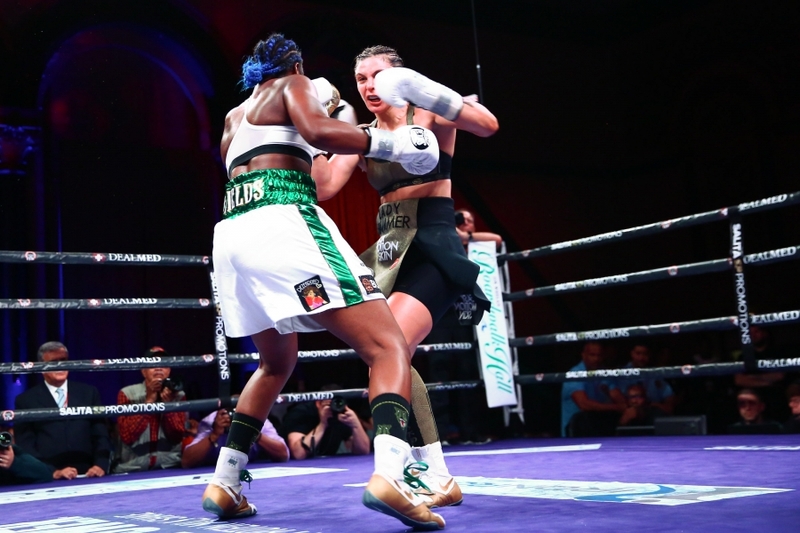 It was a contest that Bates dominated from start to finish. 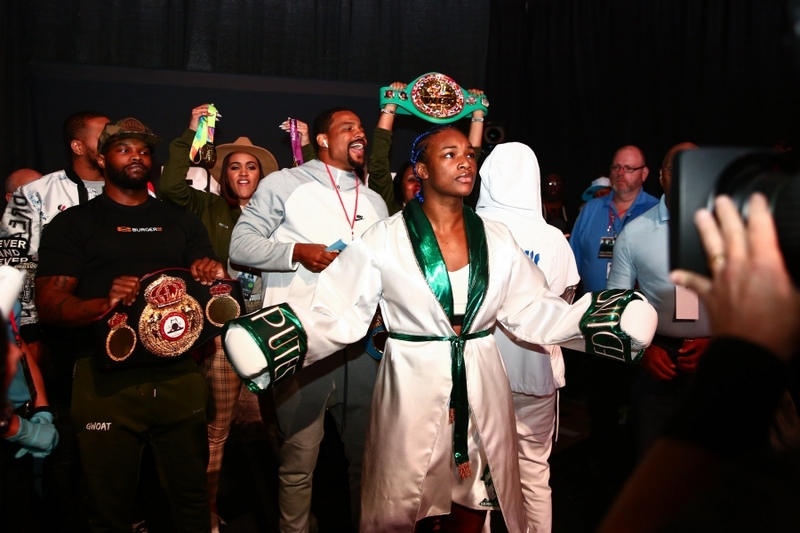 Undefeated, Super Flyweight prospect Ja’Rico O’Quinn (12-0, 8 KOs) looked sensational as he defeated Vicente Martinez (9-4, 3 KOs). 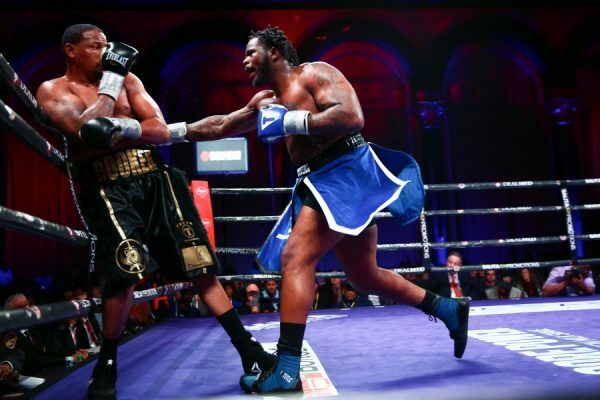 O’Quinn did a great job of controlling the distance and landing shots whenever he wanted. 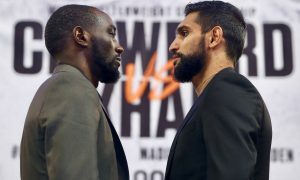 Martinez was game but the difference in skill was glaring. In the end, all three judges scored the bout 80-72 in favor of O’Quinn. 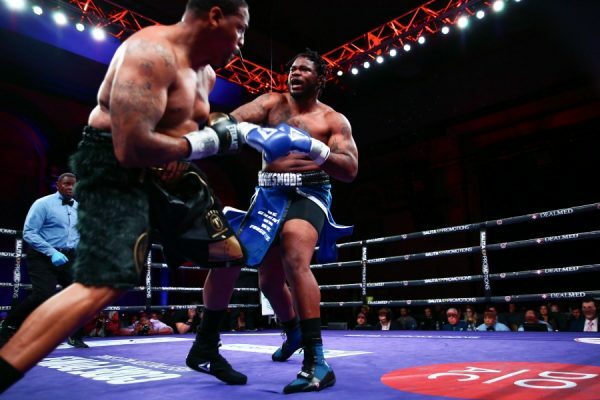 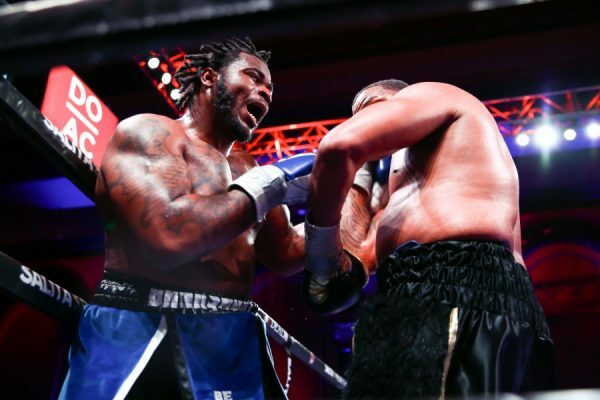 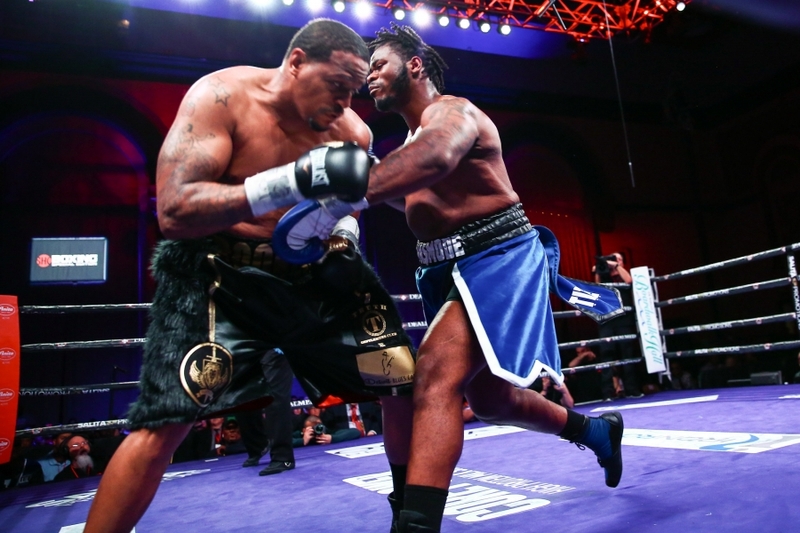 Long time faded Heavyweight fighter Samuel Peter (37-7, 30 KOs) was defeated by split decision at the Boardwalk in Atlantic City by Mario Heredia (16-6-1, 13 KOs). 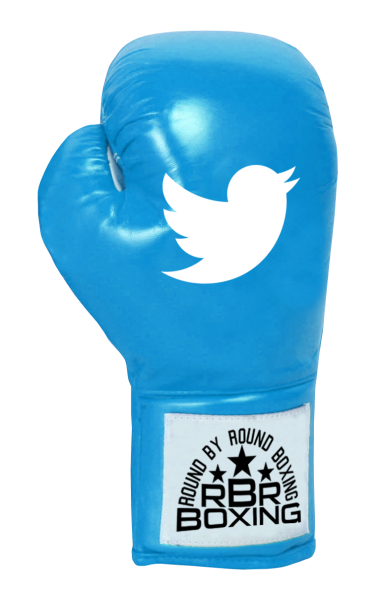 The scores for the contest were 77-74 for Heredia, 79-72 for Peter and 79-72 for Heredia. Isiah Seldon (13-2-1, 4 KOs) overcame a bit of adversary as he had to pick himself up off the deck in the very first round to defeat Bryan Goldsby (5-10). 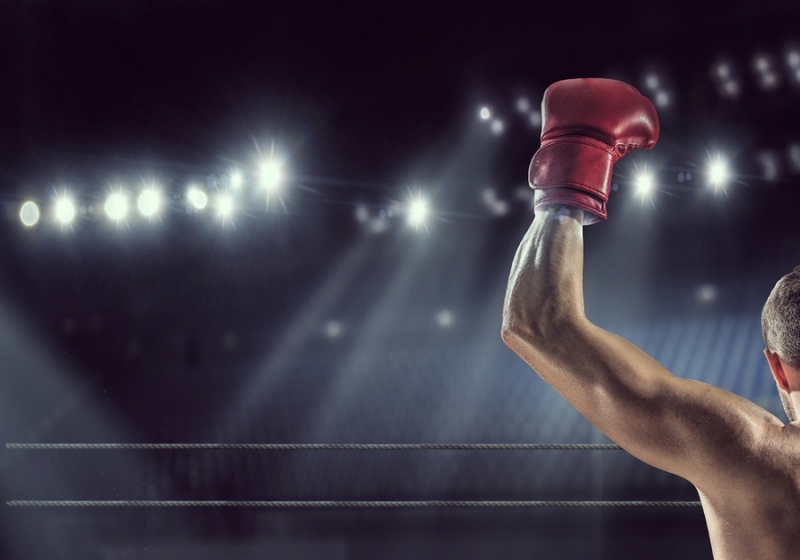 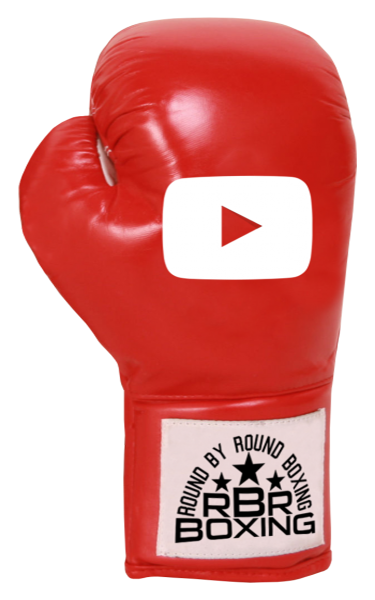 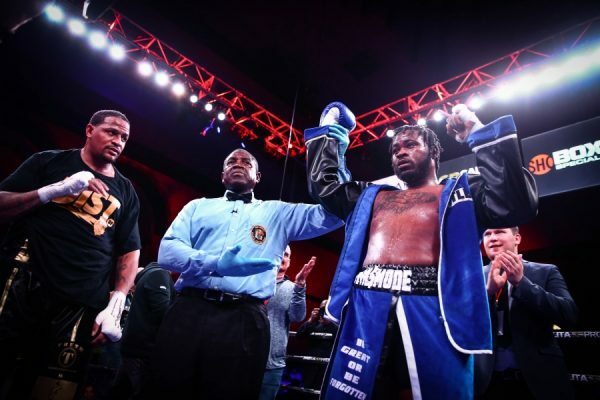 Excluding the knockdown Seldon dominated the action and picked up a unanimous decision victory. At the end of the contest all three judges scored the contest the same, 58-55 all in favor of Seldon.